Laptops have become very powerful over the years. Gone are the days when the laptops were only used for business / office work or normal work. This is because now you can play latest high-end games on laptops having good graphics cards. Most of the laptops do not come with graphics cards as they are dependent on onboard or integrated graphics, and those who come with dedicated graphics cards have different range of GPUs starting from low-end to high-end. Some laptops with graphics cards come with entry level GPUs and some come with mid-range to high-end graphics cards or GPUs. Laptops with entry level graphics cards are good for casual gaming, video editing, watching Full HD and Blu-ray movies. Also these laptops are relatively cheaper compared to gaming laptops with powerful graphics cards. On the other hand laptops with mid-range to high-end graphics cards are way more powerful and you can enjoy latest games on mid to high graphics settings at 1080p. Below you can see a picture of typical graphics card for laptop. Both AMD and Nvidia make graphics cards for laptops. 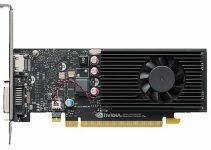 These laptop graphics cards are also known as mobile GPUs because of their smaller size and use in mobile computers or laptops. 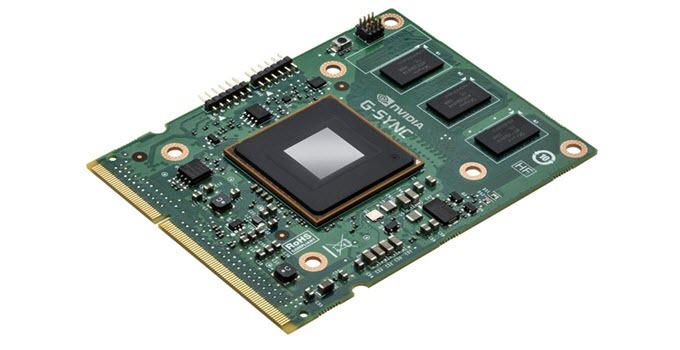 Some Laptop Graphics Cards are MXM Graphics Cards and they connect in the Mobile PCI Express Module (MXM) slot of your laptop. You may be able to upgrade MXM Graphics Cards in some laptops but it really depends on the laptop model and manufacturer. Here in this post I am going to list down the best laptops graphics cards from Nvidia and AMD for gaming, professional graphics work and for casual gaming. These are best Laptop Graphics Cards from Nvidia. Here RTX 20 series graphics cards are built on the latest Turing GPU architecture, and GTX 10 series are built on the Pascal GPU architecture. What is Max-Q Nvidia Graphics Card in Laptop? Nvidia Max-Q graphics card is the power efficient variant of a standard graphics card (mostly high-end GPUs) used in laptops. These Max-Q Nvidia graphics cards are specified with the word Max-Q written after their model number e.g. 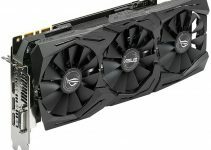 GTX 1070 Max-Q or GTX 1080 Max-Q. These graphics cards are power efficient and generates less heat compared to their standard versions. Currently Max-Q graphics cards are available for GTX 1050, GTX 1050 Ti, GTX 1060, GTX 1070 and GTX 1080. These are also very good graphics cards for laptops but they are older than the GeForce 10 series graphics cards. These are budget graphics cards for laptop and on them you can enjoy a bit of gaming too but on lower settings. Older games will run fine on decent graphics settings on below mentioned laptops graphics cards. Here are best Laptop Graphics Cards from AMD. It includes Radeon R9 series GPUs from high-end to higher mid-range. Here are the mid-range and low-end or budget laptop graphics cards from AMD. 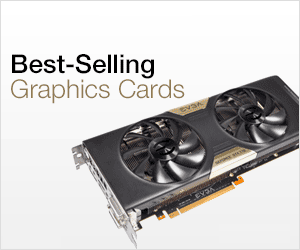 These are Radeon R7 series and R5 series laptop graphics cards. Radeon R7 GPUs are more powerful than Radeon R5 GPUs. At the end I would like to tell you that if you are buying a laptop with graphics card then you should know what GPU it has and how much powerful the graphics card is otherwise you will be wasting your money if it did not fit in your needs. For any queries regarding laptop graphics card, please leave a comment below. 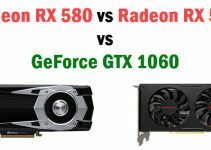 RX 580 vs RX 590 vs GTX 1060: Which is Best for your Money? You can get GeForce GTX 1060 MXM Graphics Card if your all in one pc has MXM slot. Here is the link http://www.aetina.com.tw/products-detail.php?i=86. I just bought a laptop with a GTX 1070 Max Q…I thought that was pretty good and a good deal as it was not as expensive as a GTX 1080. However it looks like MAX Q makes it different than a normal GTX 1080? Will that hold me back? I didn’t need something super high end but I wanted something that would last a bit. I did opt to go with a new Gen 8 I7 processor. The MAX Q variants are around 10% to 15% slower than the regular variants and their drivers are also optimized for efficiency rather than for performance. However, they still deliver good performance and consume less power too. You should be fine with GTX 1070 Max Q even with latest games. Thank you for the quick reply! I found your article very helpful as well. I read somewhere that you can add an external graphics card to the the laptop? Thank you. I have a 3.1 USB ports but not thunderbolt hmm looks like that may work too. Either way it sounds like I should be good for a while with the gtx 1070. You should be totally fine with GTX 1070. Don’t worry! 72, retiring having too many years working with Photoshop & large format printing, now require a decent laptop with fast processor. Considering i7 as i9 price/performance seems unjustified. Not interested in gaming, DVDS, streaming etc. Max RAM and 2Gb+ data storage, decent screen are the important features. Anything off the shelf? ( as, with peripheral neuropathy, I can’t build)..
How much is your budget and what screen size would you prefer? Has anyone read my request?